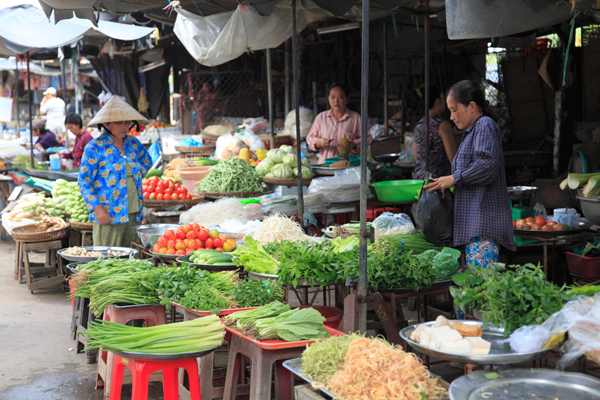 Wet markets, like the one pictured here in Tra On in Vietnam’s Mekong Delta, are typically found in many Asian countries. They feature fresh produce, poultry, meats, fish and a variety of ingredients for local cuisine. I love how goods are displayed and that there is not a corporate logo to be seen. While in the Mekong Delta I experienced the rare occasion of not seeing another traveler for days. Have you experienced this recently and if so where? Thank you. India's markets def come to mind. I love not seeing other travelers! You know that you aren't doing touristy things then.